French people love salads! They eat them at least once a day. It’s not such a big surprise regarding haw quickly they are able to make it delicious. 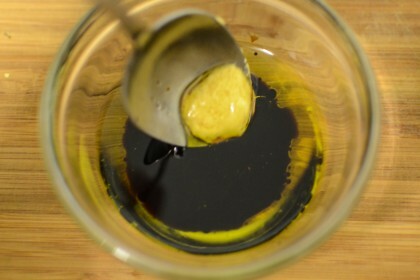 And all that thanks to a very simple dressing that can make each salad much tastier! 2. 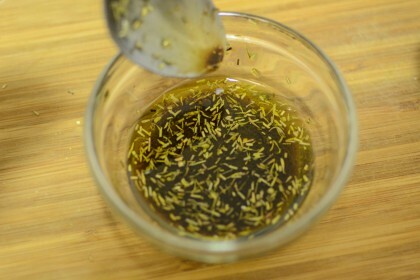 Add the balsamic vinegar, mustard and herbs. 1. If you eat salads often, you can prepare a bigger portion of this dressing. Keep it in a closed bottle at room temperature. Shake the bottle before use. 2. You can customize your dressing by adding a pinch of curry or a bit of honey. 3. If you don’t like the strong taste of olive oil you can also use olive oil with rapeseed oil (in proportion 1:1). 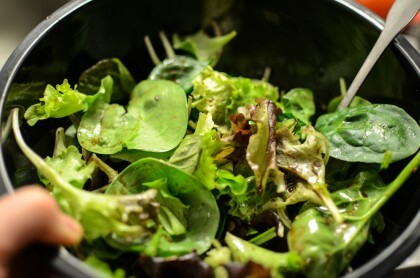 This entry was posted in France, Healthy, Salad, Sauce and tagged c. Bookmark the permalink.